IKEA Hensvik: x3 only added the decorative top to the top one, just hung all three seperate on the wall.. on the bottom one they are supported by 4 decorative shelf supports by Homebase. IKEA chest by Fira.. decorated with scraps of papers [x 3]. My desk area, with on your left my SU storage carousell.. on the right you can just about see my IKEA stationary chest.. i have decorated them with IMM, BG and Imaginesce papers.. they hold my copic pens, stamp pads, bling, sticklers and mixed small embellies 🙂 Underneath.. again.. Storage 4 Crafts [Best Craft] units. Back of my room.. stamp storage [in white drawers] and bead storage in other cabinets. The large pink boxes are now full of craft magazines… I just can’t let go off those!!! So… this is how my room is tonight.. what do you think? For now big hugs and sleep well! 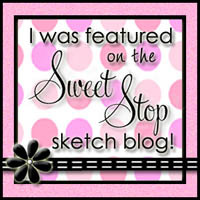 This entry was posted on Sunday, February 15th, 2009 at 10:49 pm	and tagged with Craft, Scrap Rooom and posted in New. You can follow any responses to this entry through the RSS 2.0 feed. 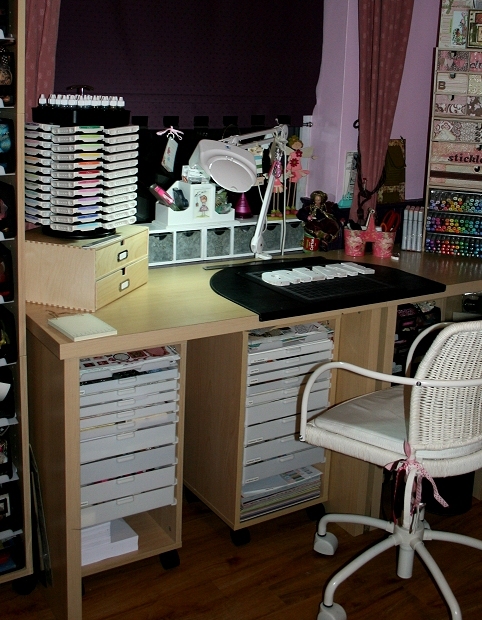 OMG……..I WANT A CRAFT ROOM LIKE THIS!!!!!!! IT’S FANTASTIC. Wow Marlene it looks absolutely stunning, a dream come true for most people, you have worked extremely hard since I last saw it the other day. I am soooooooo envious of you. My craft room went when my daughter came back home to live after 5 years away and now I’m crafting on a table in the corner of my bedroom – husband says it drives him crazy not knowing whether he’ll end up covered in glitter or get bitten by a punch!! Have loads of fun – what an inspirational palace! Oh wow Marlene, you are one lucky lady! How on earth do you remember where everything is??!! I bet you’re forever coming across bits you forgot you ever had!! It looks amazing. One day I will get around to fitting out my room properly but until then I have to live with the nursery decorations the previous house owners put up! This is absolutely fantastic! All your hard work organizing shows. WOW, I wish my looked like this!!! Amazing room Marlene, what a beautiful and well organised place to make your cards. I’m sure you will have many happy and creative hours in your new look craft room. WOW!!!!!! LOVE IT!!! I could live in there! 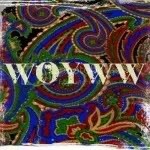 Discovered your blog a few days ago. While you where reorganizing your craft room. And now that it is finished I will post a comment. WOOOOOW, I’m impressed. Hmmm, can’t we swap room ….PLEAASSSSSE???? You are a very happy girl to own such a great room. Love what you did with it. OMG< how jealous am I. You craftroom is immaculate. I would love to have all the units from craftstorage and am often looking at their web. No wonder you enjoy your crafting!!! What a gorgeous room Marlene…fabulous job and it’s so pretty!! I would like to come to visit!! it is fabulous Marlene, an absolute dream of a craft room, I love your new shelves, been looking for something similar for a while! WOW!!! Marlene what a fantastic job you’ve done. I bet you’re glad that’s over & you can get back to creating your gorgeous cards. Can’t believe how many copics you’ve got lol!! no wonder your colouring is always beautiful!! Right . . . . now all I need are directions so I can come & share your fantastic stash lol!! Wow Marlene what I wouldn’t give to have a craft room like this. You have done a fabulous job, you are so going to love working in here. WOOOOH, dit ziet er echt heel mooi uit, veel plezier in je kamer!! Wowie.. wat een werk! Maar het ziet er echt geweldig uit. Ik krijg meteen zin om mijn rommeltjes te gaan organiseren! Wauww wat een geweldige hobby kamer heb je zeg. Ik zou ook wel zo,n super kamer willen hebben hihihi, maar de ruimte ontbreek helaas. WOW!!!!!!!!! I am so green with envy! I see when you said you got copics… you weren’t kidding! Love all your cards, by the way! Goodnes gracious me, Marlene, is that your craft room or a shop! The craft shop near me is not as well equipmented as that LOL. Fabulous honey, just love it! I cleaned mine out a few weeks back and it feel so good to work in there now, you’ll love it! The only trouble I find now is I have tidyed up so well, I can’t find anythings LOL. Enjoy your super delish new room! Wow Marlene, this looks fantastic. What I would give for a room like this. IKEA is the best for loads of things!! and cute pink boxes for your magazines – I am the same – can’t part with my magazines – some are old – but I still love to look at them from time to time. 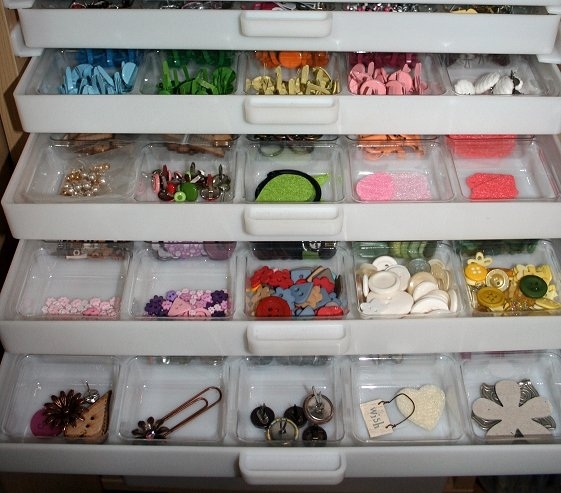 Wooowwww Marlene, your reorganized craft room is just a DREAM! I am very happy for you! My hubby and I will move into a new apartment on April 1st. So hopefully my room will look as nice as yours. Thank you for your inspiration. BIG hugs and have a great week! Your craft room is looking awesome. I wish I was as organised as you. Wow! dream room! it’s so beautiful & neat! PS I’m going to show these pictures to my husband because he thinks I buy too much stuff, wait til he sees what you’ve got in that aladdins cave! Marlene your room looks fab, IKEA is a great place to get Crafty Storage. WOW! Oh my gosh, this is amazing – you’re so lucky! I could just imagine sitting in there for an afternoon, drinking hot choc, making cards with a film on the laptop! Heaven! I need this room! I am actual arranging my craft space and was looking for ideas. I have so much stuff…it is ridiculous…you helped out alot. I will visit IKEA again! Absolutely gorgeous. I love you new crafting room. 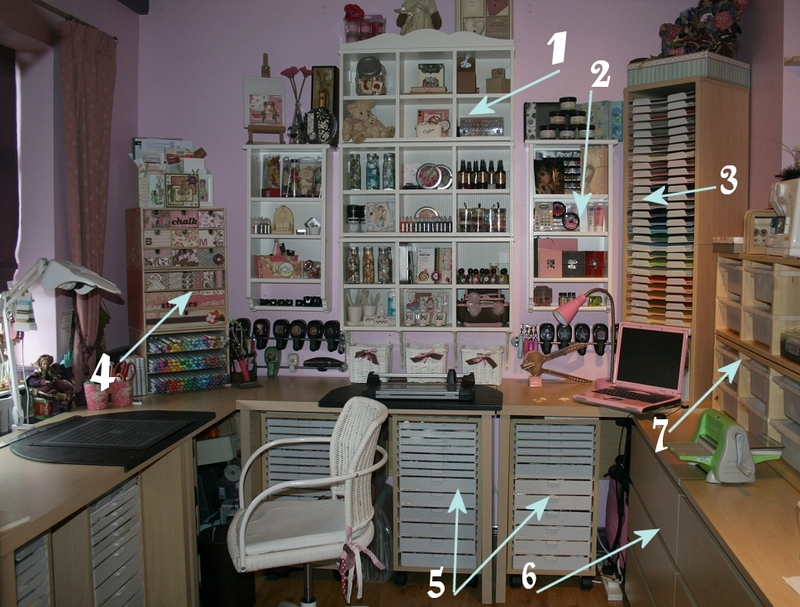 OMG…you have one sweet and organized craft room *drooling*. I want your craft room!!! I have taken over my entire kitchen dining area…haha. I can’t wait till we move to our new house this summer so that I can have my own craft room. OMG..Your craft room is so fantastic..
Wow! If I ever have a spare room (& the spare funds!) I will kit it out like this. Love IKEA, Love Craft what a perfect combination. Wow, helemaal super, vooral al die laatjes om alles lekker te sorteren! Moet helemaal geweldig zijn om daar heerlijk aan de slag te gaan. Geniet er lekker van!!! Marlene your room is just Heavenly!! Can I please come live with you??? LOL!!! Seriously that is heaven!!! Is it always this tidy??? Oh wow, my jaw just dropped to the floor as I scrolled down the photos. 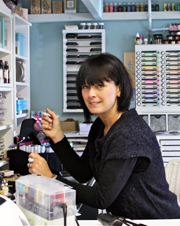 This must be what heaven for crafters look like! I’ve gotta show this to my husband and tell him that this is what I dream of too 🙂 lol! Your work is such a big inspiration to me, and I always love to visit your blog. Thank you for charing! Mooi hoor maar wat heb jij veel……!!!!!!!!!!! I’ve been following your blog for quite some time now. You make fantastic cards (the ones in Craft Stamper the other month were just lovely) and now you have a fantastic creative space. Like some of the others my DH thinks I have way too much craft stash…I simply have to show him your pics. Soooo envious. I’d be in stamping heaven. One question, do you have your copics stored in empty copic desk stands? As close as I looked it wasn’t clear from the picture. 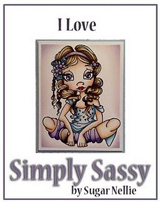 Wow, I love my craft room, (I am sooo blessed to have one), but now suddenly, I want to re-organize everything!! Goodness…..what could have happened??? OMG Marlene this is gorgeous…. OMG Marlene I am so in love with your room! Could you box it up and ship it to me! ha ha! GORGEOUS hun! So pretty!!!! You are soooo lucky. What an amazing room, it looked good before but even better now, defo worth all your hard work! I wish mine was as organised, did a quick trip to new Ikea store last weekend, think I need to go back and get some more storage. 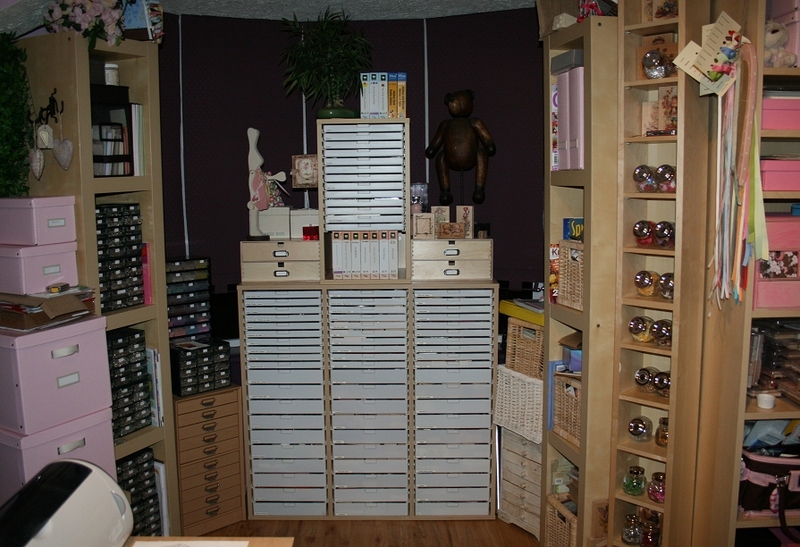 I would really love some of those units from Storage 4 Crafts but need to win the lottery first, and could do with one of the kids moving out so I can have a bigger room. I have loads of craft mags also, as I can’t bear to part with them! I will post pictures when I’m done. Thank you again for all the inspiration.. Can I go to your house and play?..